We proudly announce the May 11 launch of a custom responsive WordPress website for Lake Shore Cabins on Beaver Lake, a luxury waterfront cabins resort in Eureka Springs, Arkansas. Owner Donna Braswell first came to InsideOut Solutions as a hosting client in 2014. Donna had come to InsideOut with the intention of quickly stating a redesign of her then 10-year old website when we took over hosting on February 14, 2014. There were many things that needed to be done before that could happen, however. New photographs would be needed and a video would need to be produced. Before these could be completed, Donna was into her busy season. Even so, Donna understood that there was only so much that could be done with the aging website to keep it afloat. 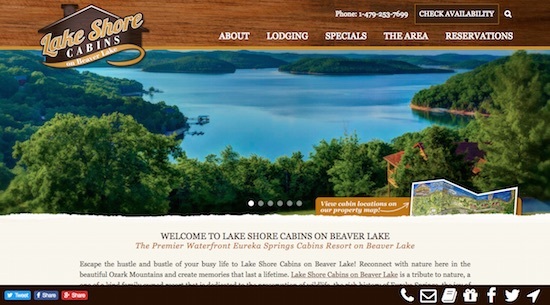 BEFORE: The previous Lake Shore Cabins website was created over 10 year ago…and looked it. Internet Marketing Manager Shawn Kerr provided both pre- and post-launch SEO services. Page content and code were optimized via the Yoast SEO plugin and page content editor during the proofing process. Redirects were created for all URLs of the previous website to ensure “page not found” errors would not negatively impact search engine or visitor experience. 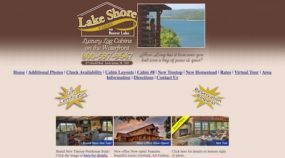 The new custom responsive WordPress website for Lake Shore Cabins launched with an SSL upgrade on May 11 and was submitted to the search engines to make sure the new secure “HTTPS” website address was quickly indexed. 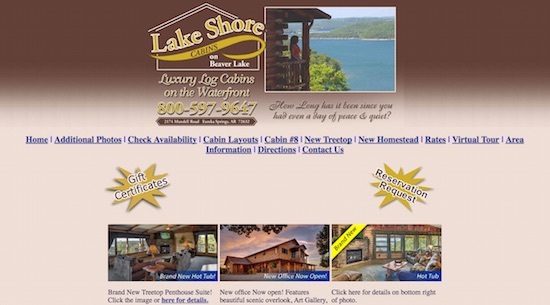 AFTER: The new Lake Shore Cabins custom responsive WordPress website looks with whatever device is used to access it. 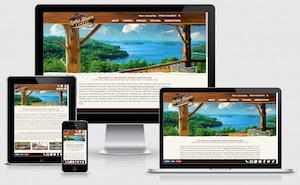 Is a Custom Responsive WordPress Website Right for Your Business? 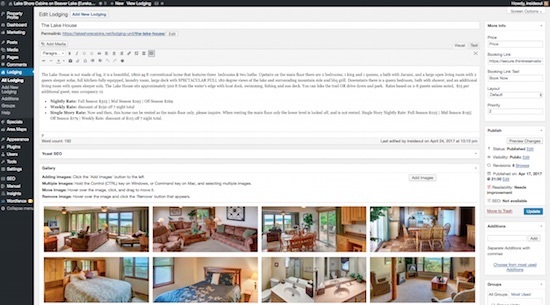 A new custom-designed responsive website built in WordPress from InsideOut Solutions starts at $7,500 and may be financed at just $270 per month (based on $1,000 down + 24 monthly payments). We invite you to view our Custom Design Portfolio and contact us for a quote to move your internet marketing forward with effective web design developed with cutting edge technology and the deep marketplace understanding that InsideOut’s over 20 years of experience offers.